Winter is quickly approaching, and now is the time to prepare and accomplish last-minute projects around the house before the frigid air takes hold. One such project on my fall to do list was preparing our fireplace for another possible harsh winter. 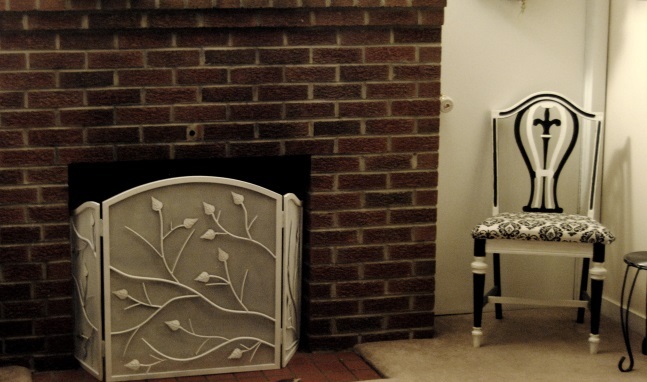 When my husband and I saw our house for the first time for me it was love at first sight, and this fireplace had me at “Hello.” Some would, consider red brick outdated, but I loved its throwback flare and vowed never to change it. Fast forward years later, and my proclamation proved true. I managed to do absolutely nothing with the fireplace! We even had the same boring black fireplace screen we purchased at Target on clearance in 2007. 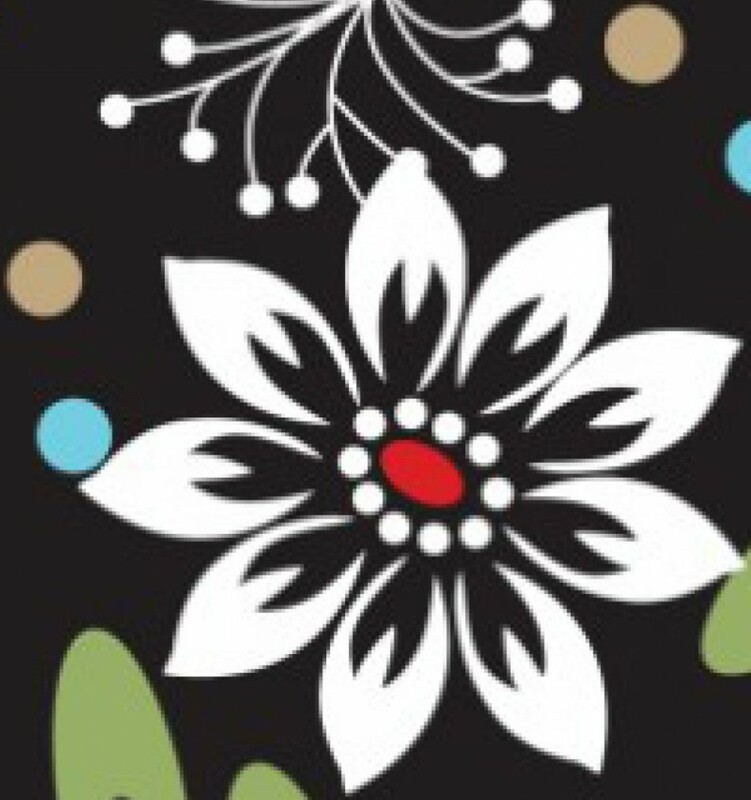 The depth of our hearth made the unlit fireplace appear as if it were a “black hole.” The dark screen blended in with the background and it’s vine detailing was lost in the fray. As beautiful as the red brick was, it was missing something. It is surprising that it took all this time to come to the realization that the fireplace needed some “pop”, after all it was the focal point of our living room. Of course, a redo of the red brick was out of the question, so the hubby and I decided the screen needed a change. Instead of buying a new more exciting fireplace screen we vowed to do something to upcycle the old one! I immediately took it outside and before I even bought the paint cleaned it thoroughly with the garden hose and allowed it to dry. 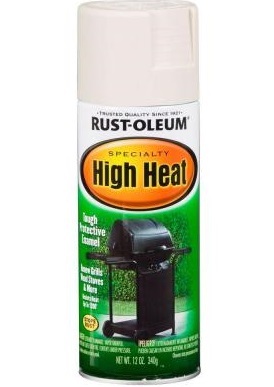 Since the screen would experience the extreme heat coming off the fireplace I decided to stop by Lowes and pick up 2 cans of white Rust-Oleum high heat paint. According to the paint specs, it is intended for use in temperatures up to 1,200 degrees fahrenheit. 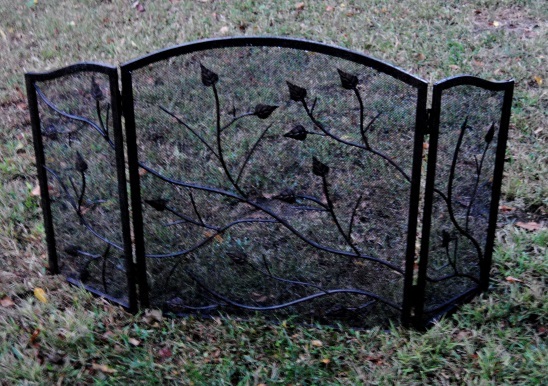 The paint is also rust and corrosion resistant for durability. I applied one can allowed it to dry overnight and then applied the other. This DIY project is about as simple as it gets. For me, it made a dramatic difference. Painting the screen white, succesfully brought out the detail and added an extra dimension. Is their anything a fresh coat of paint can’t fix? The screen also went well with the neutral sandstone walls, and former upcycle project black and white damask chair which currently resides as extra seating in our living room. A special thank you to Nikkimarie at My People in History. She is a family historian and genealogy buff like me, and if you are a lover of history, family stories and vintage photo’s stop by her blog and say hello! Thank you for nominating “On The Upcycle” for the One Lovely Blog Award, and a big thank you to all my readers for the continued support and encouragement! Ohhhh, that’s fabulous! Well done, OnTheUp! 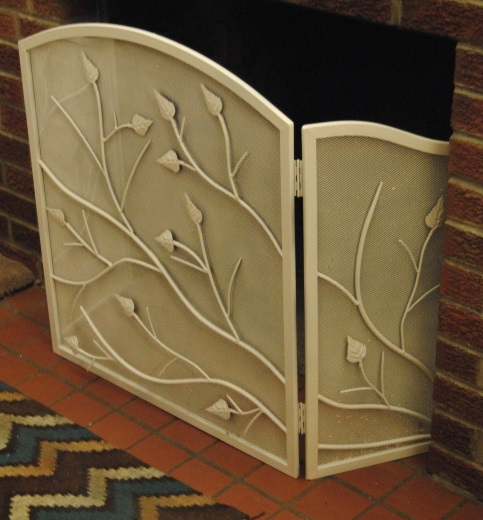 The white looks very stylish and different from any other fire screen I’ve ever seen, and, like you say, it really is a game of ‘team work’ with the beautiful chair in the corner. Great Job, you clever thing!